We have looked at different functionalities of Order Delivery Date Pro for WooCommerce plugin so far and seen how useful those are while carrying out order delivery tasks. 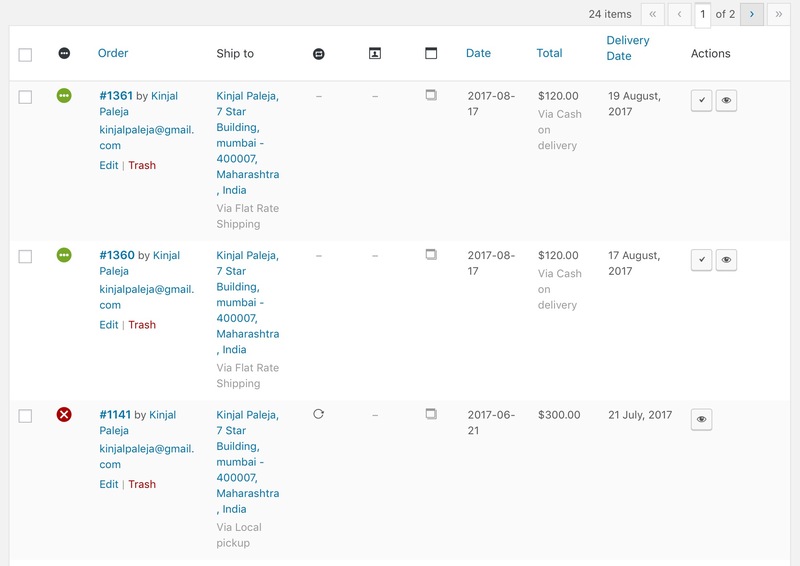 Addition to that, today we will discuss how admin can search, view and sort orders and its delivery details using WooCommerce Orders page. 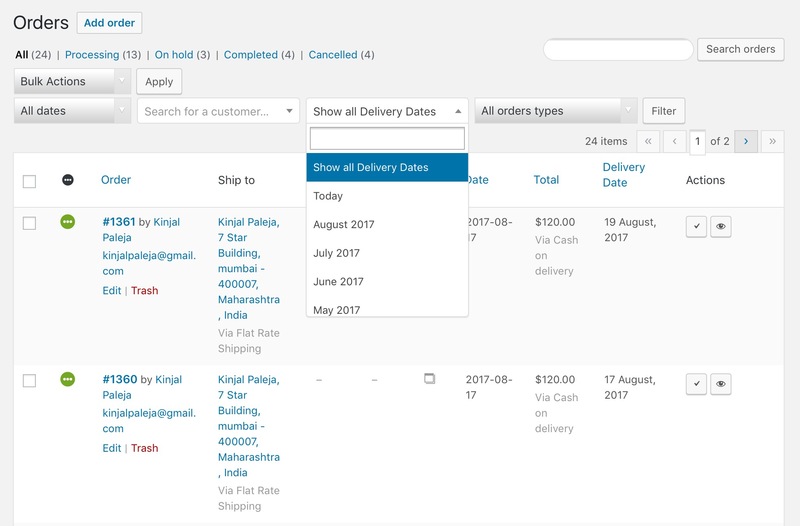 You can also look at specific order details as per the requirement using the filter option, thus making the entire order delivery search process very easy and quick. 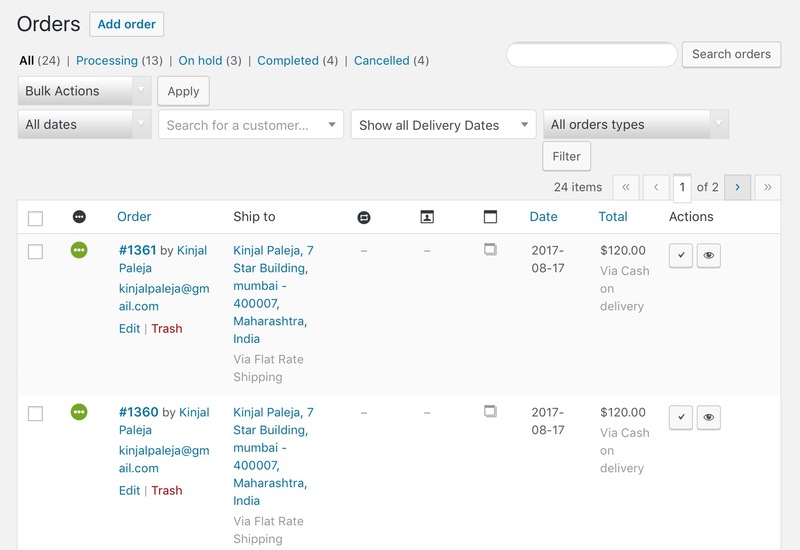 View Delivery Details section describes how you can view and sort all order deliveries together on the WooCommerce Orders page. This functionality is useful for reviewing delivery details of all orders in a single go, thus allowing easy access to date and time data of order deliveries whenever required. This is the second setting on the Additional Settings page of Order Delivery Date Pro for WooCommerce plugin. Admin can make selection for displaying delivery details of specific orders by enabling this option, thus assisting him to view record of orders for Today’s deliveries, Tomorrow’s deliveries or for each month. 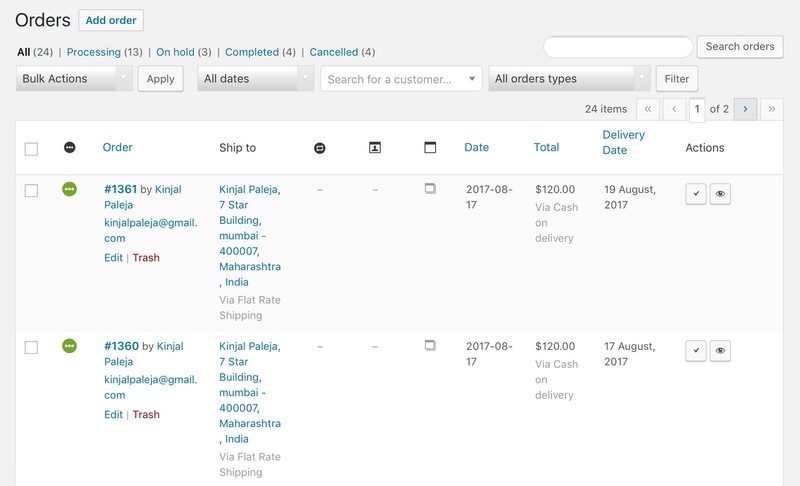 This way the filter field on WooCommerce -> Orders page helps to make different selection of criterias from the dropdown for displaying the order details. 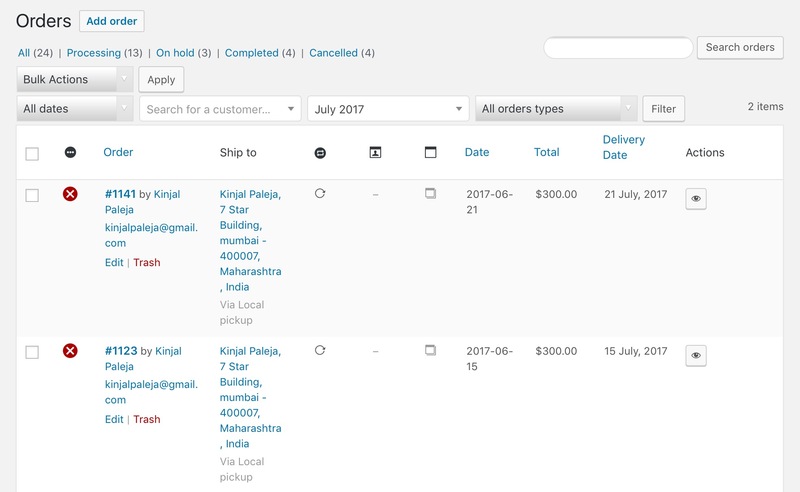 The task of keeping a log of all orders and it’s delivery details is made efficient with Order Delivery Date Pro for WooCommerce plugin. 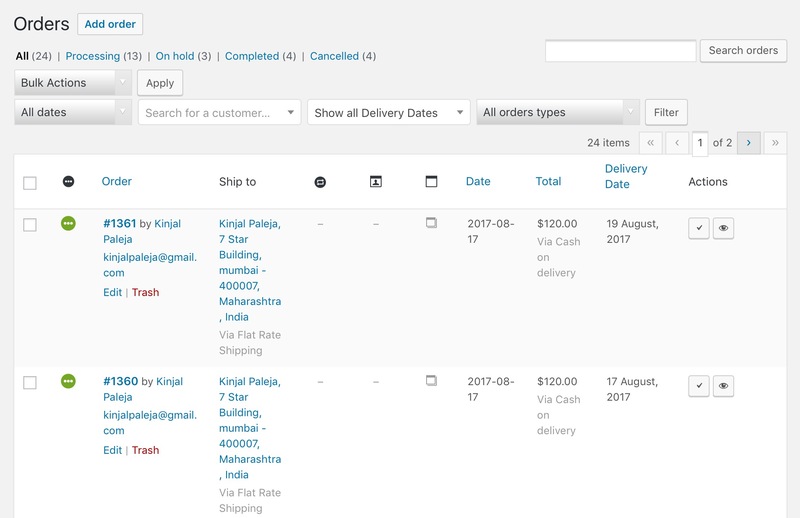 You can search, sort and view orders, display delivery details of those orders and also filter them as per the requirement. All this is made possible through this plugin, so why wait, grab it soon!! !